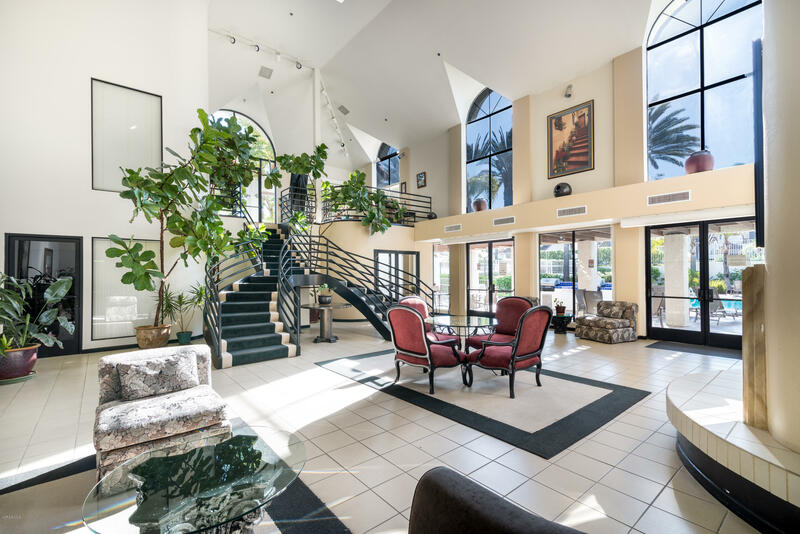 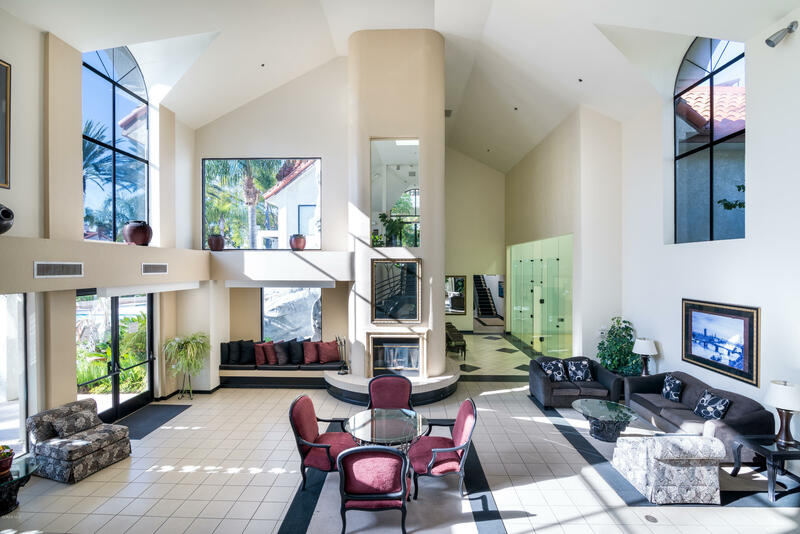 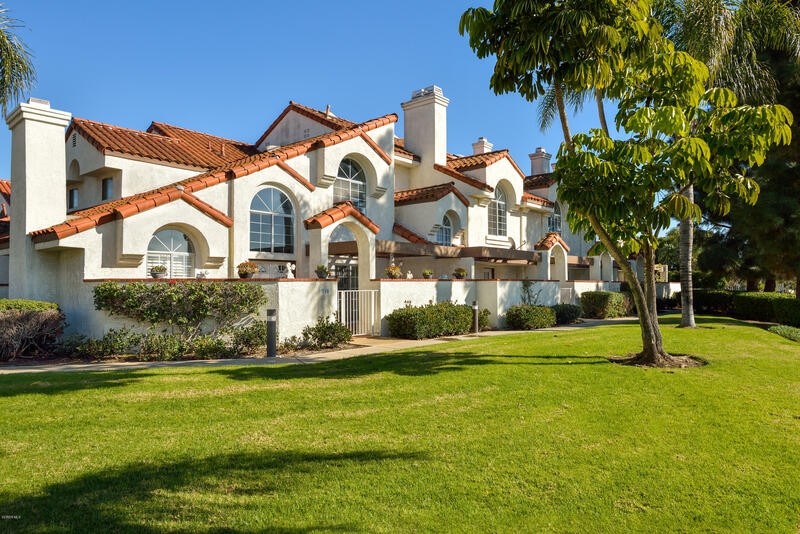 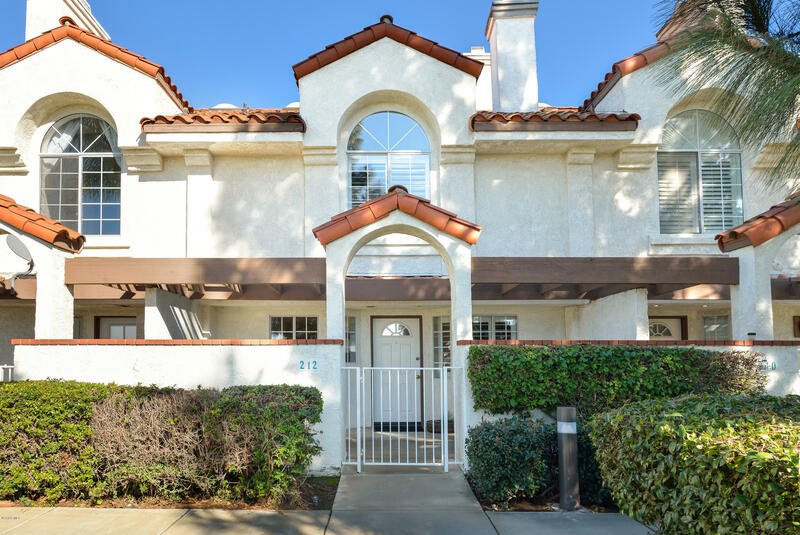 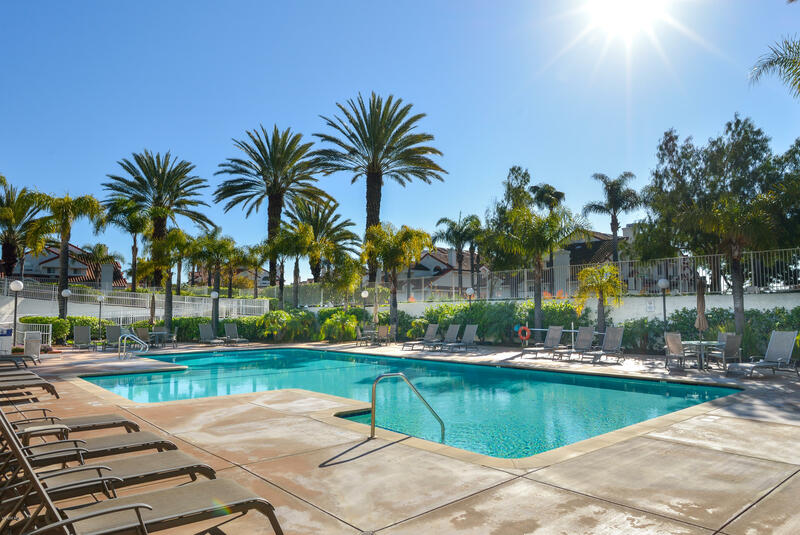 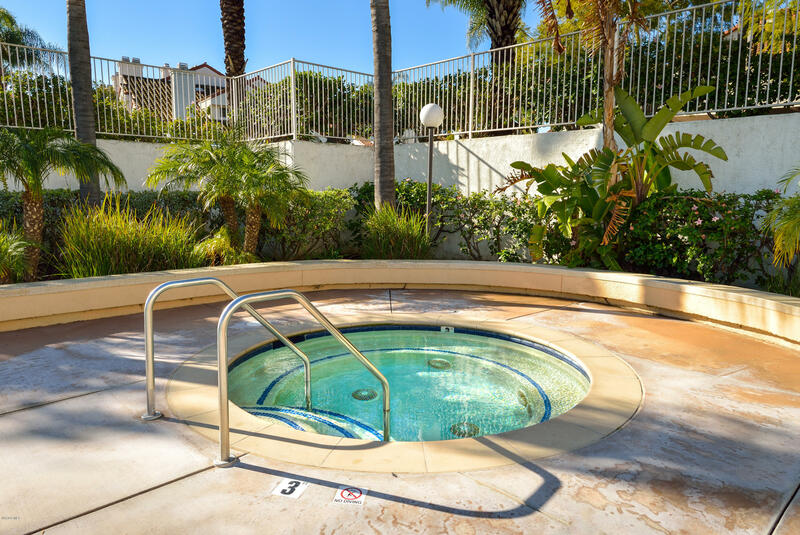 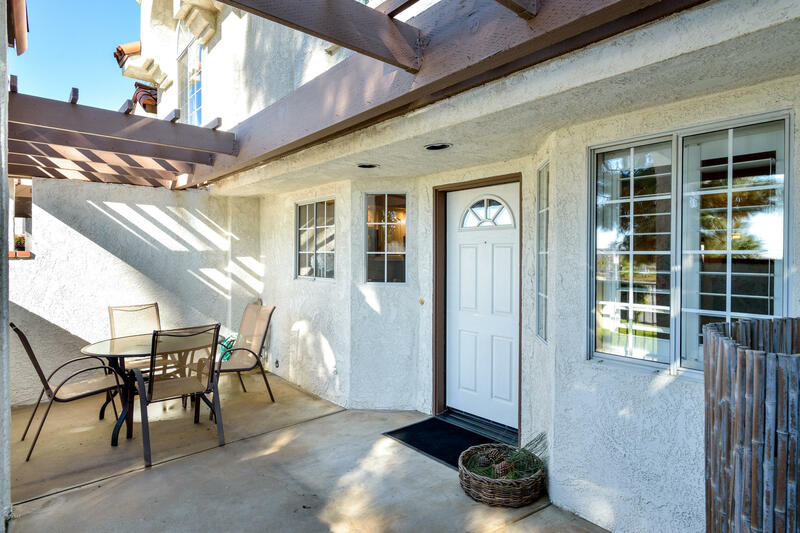 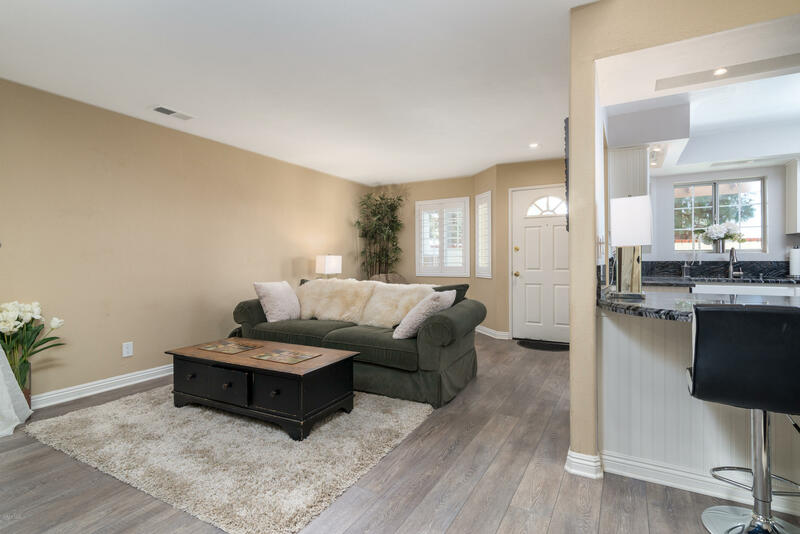 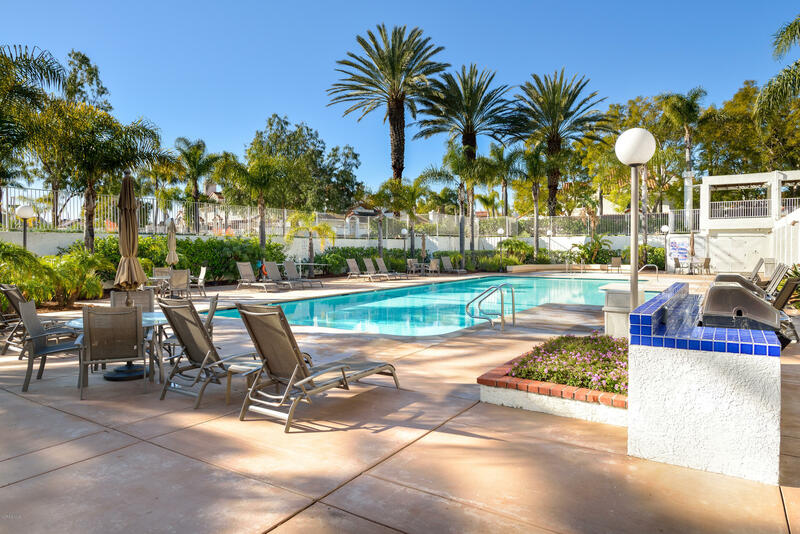 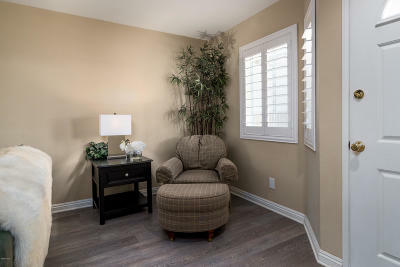 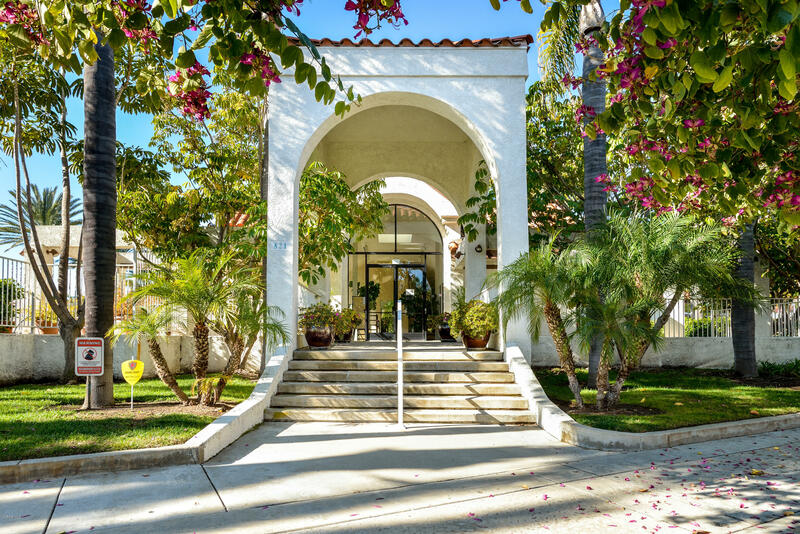 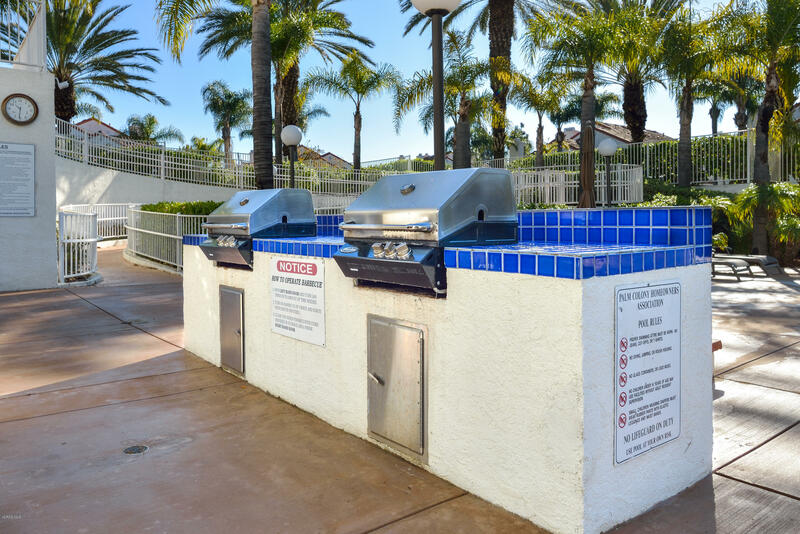 Beautiful condo in the Palm Colony gated community located in Camarillo. 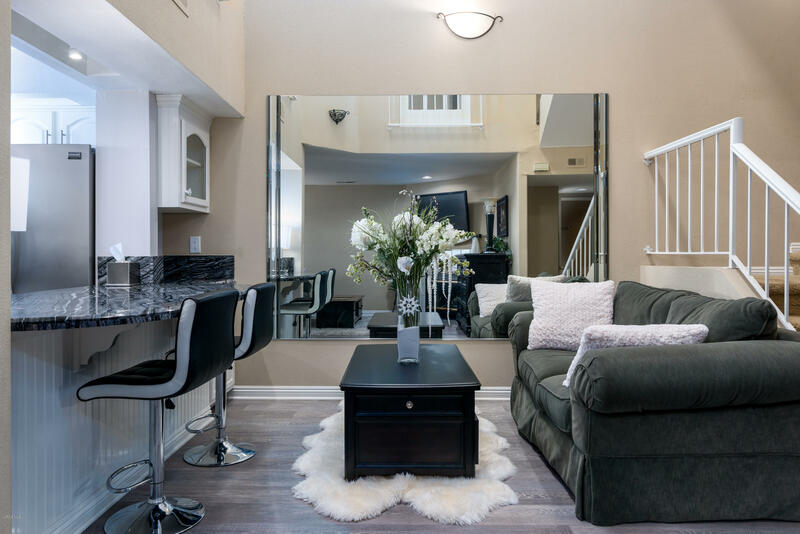 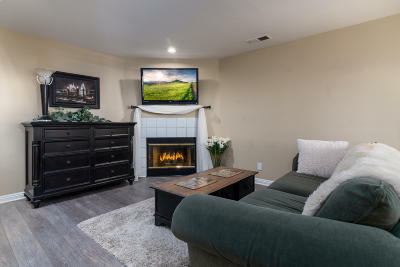 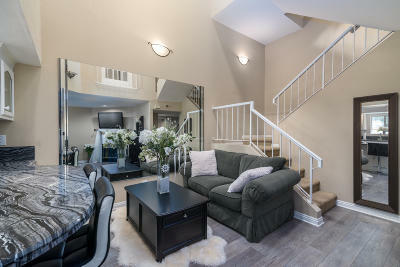 You enter the home through the cozy front porch and step into the beautiful living room. 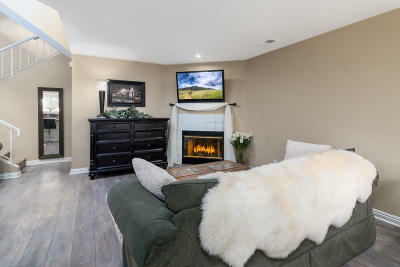 The living room is updated with laminate flooring and is complete with fireplace. The dining area off the living room also has the beautiful laminate flooring and a large wall mirror. 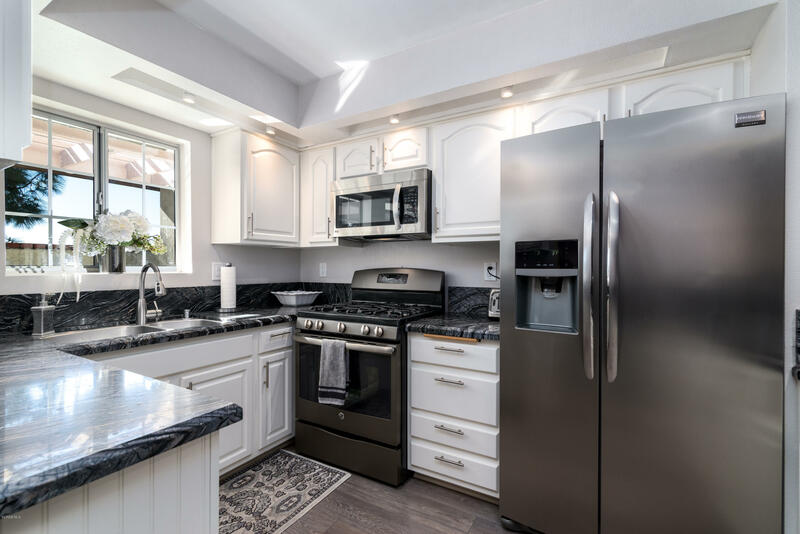 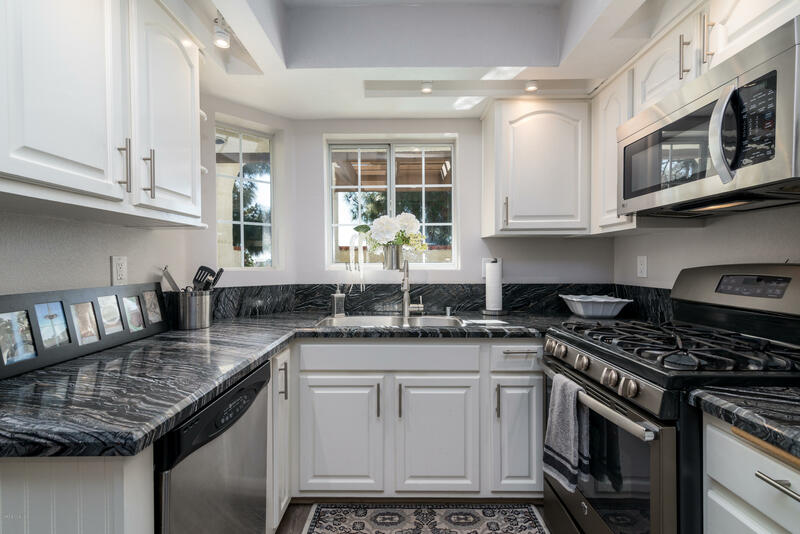 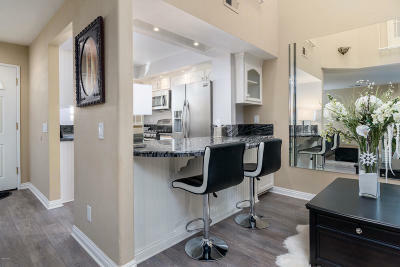 The kitchen has been completely updated with flooring, lighting, appliances, cabinets, counter tops and even the extended counter for the bar-stool eating area. 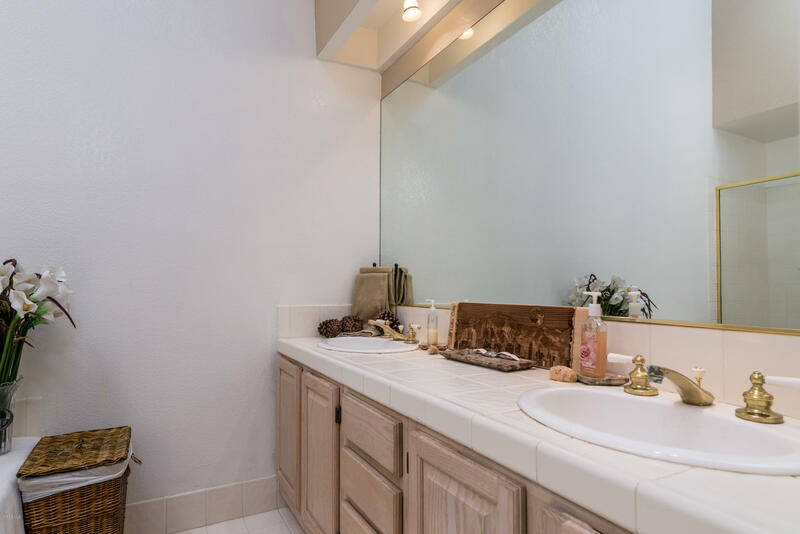 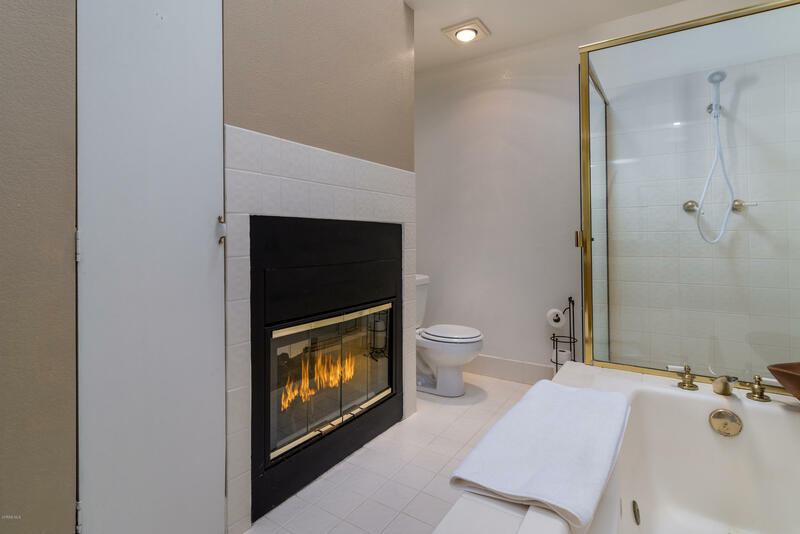 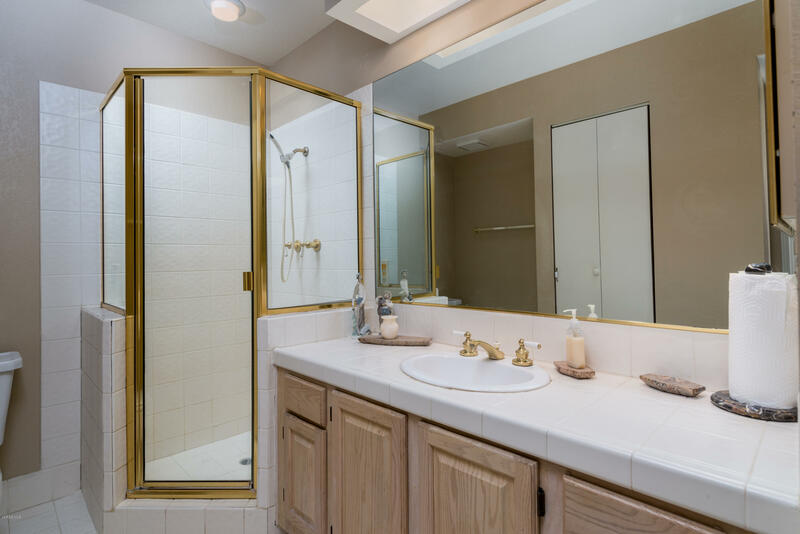 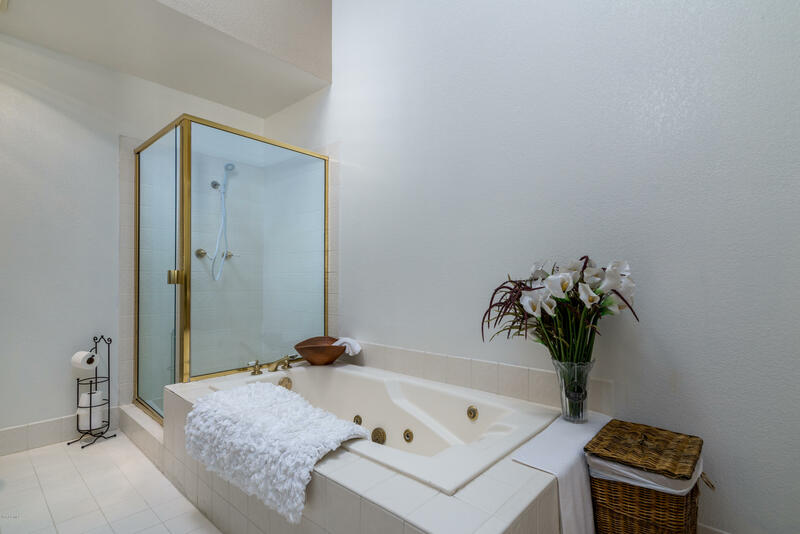 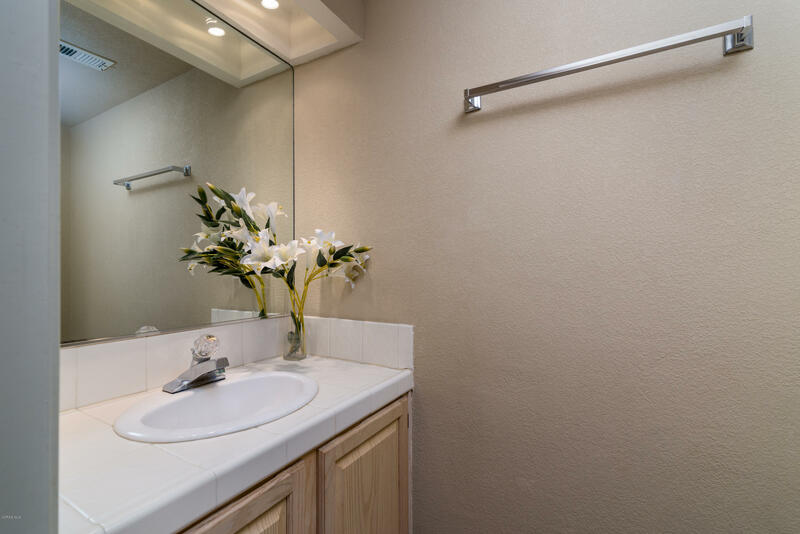 You will also find a half bath for your convenience for the use of your guests. 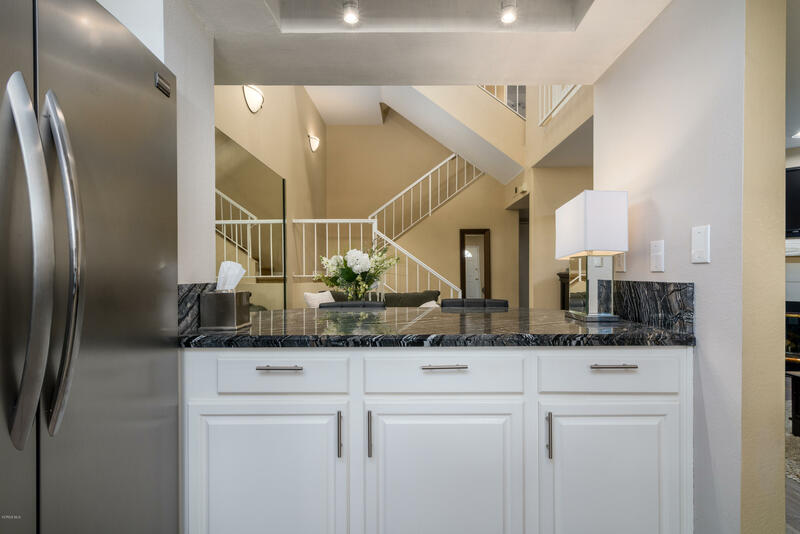 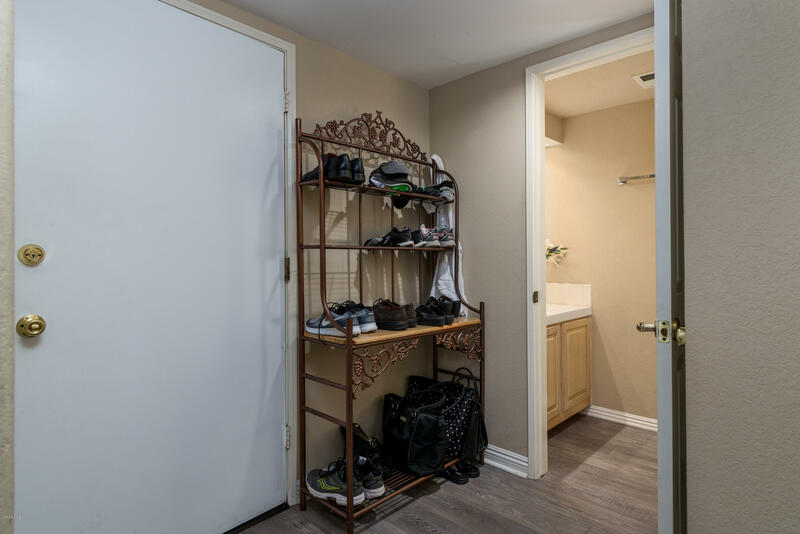 A favorite feature is the direct access to the home from the two-car garage. 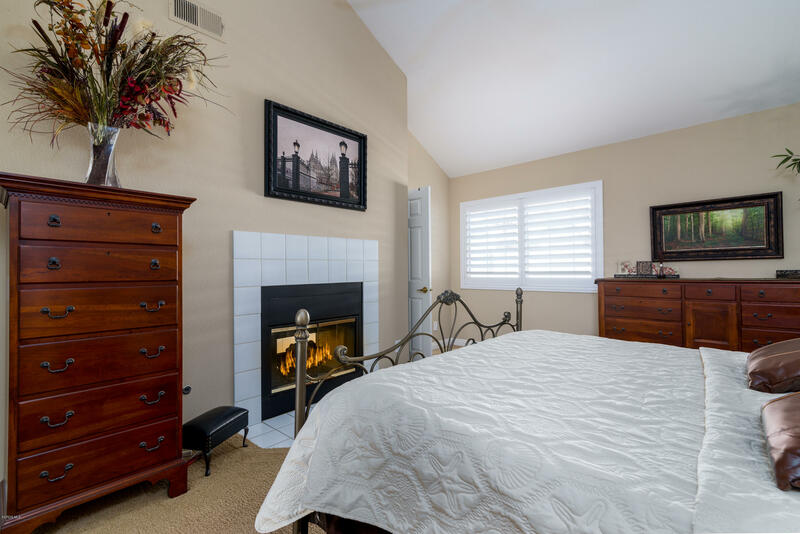 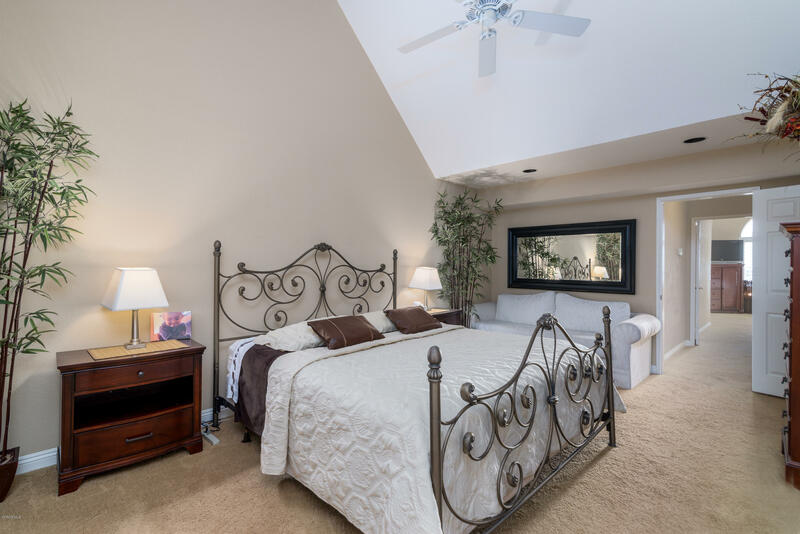 On the second level you will find the best part of this floor plan, two master bedrooms including two private bathrooms. 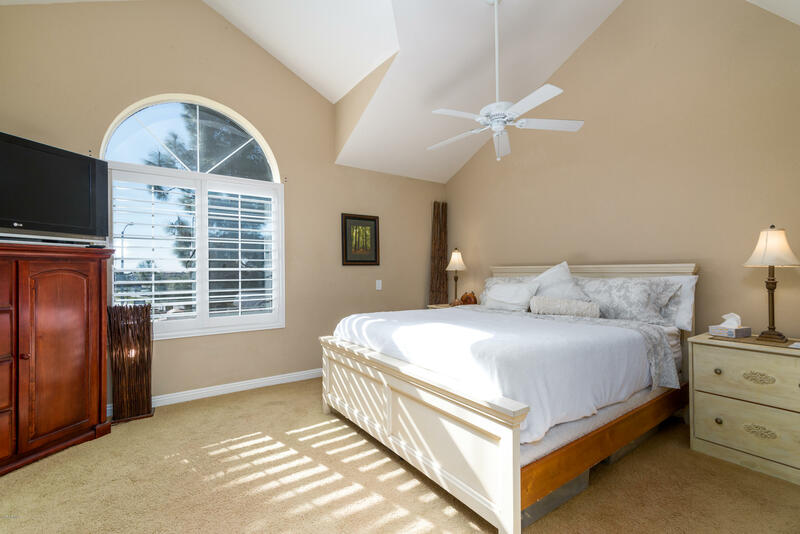 The lighting is great in this home with windows and skylights throughout. 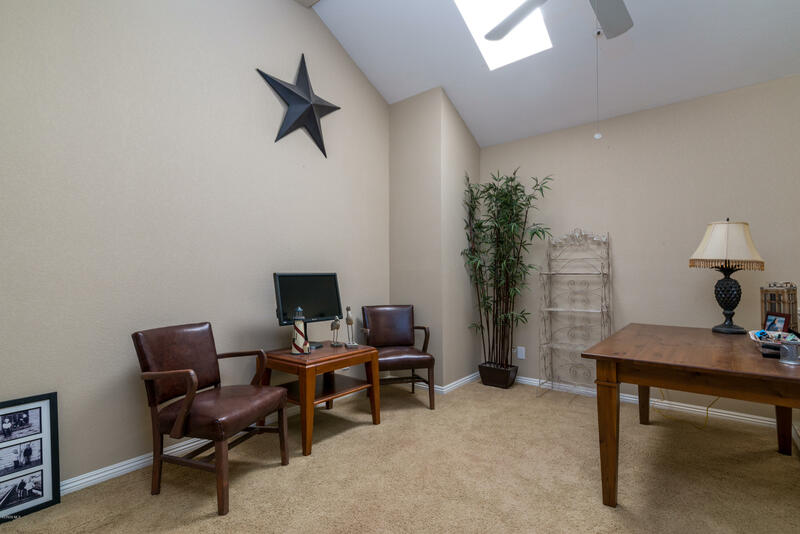 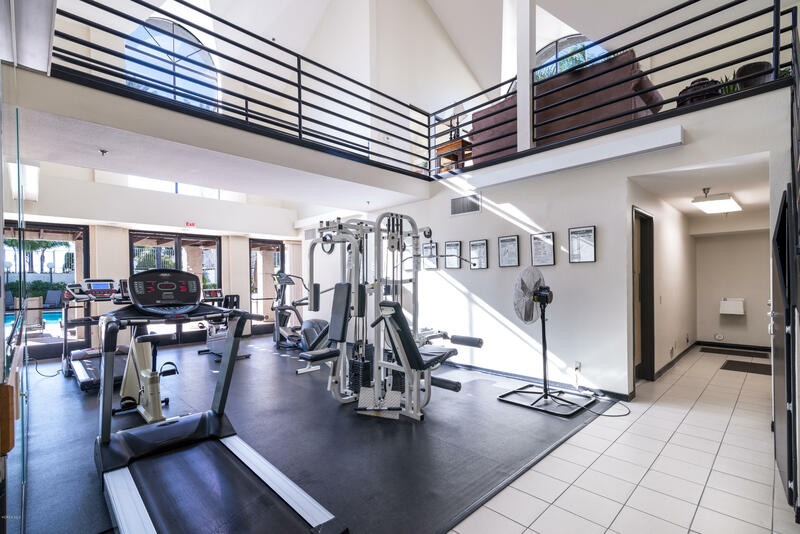 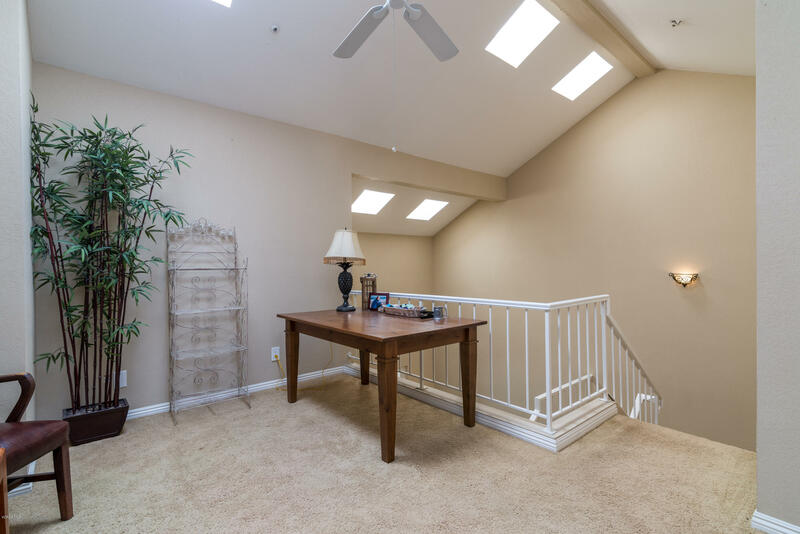 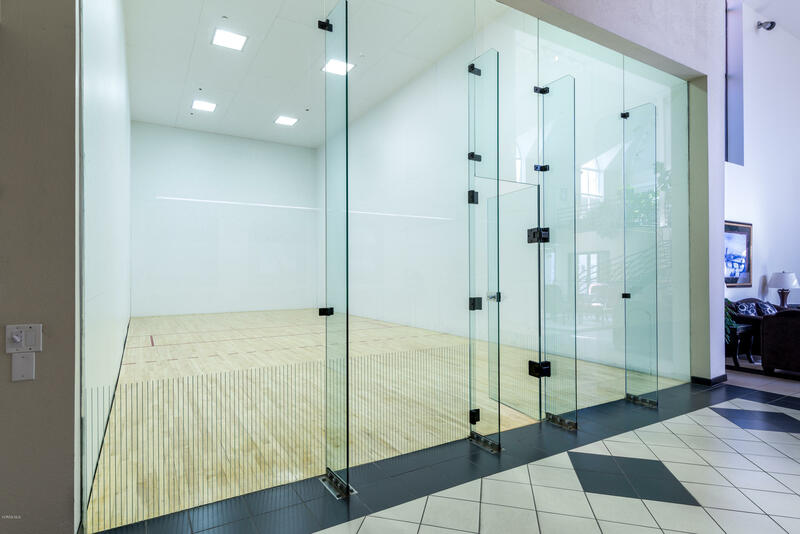 You will love the open loft area on the third level that is currently being used as an office. 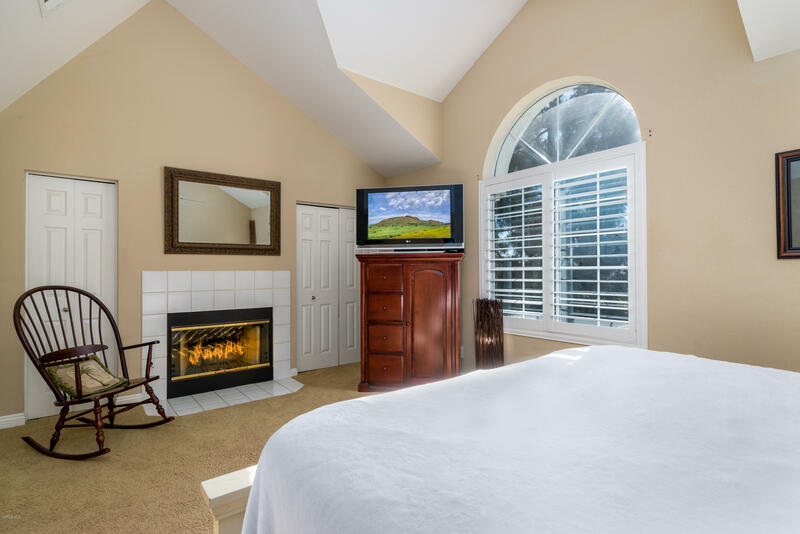 One of the favorite features of the owners is the great cross breeze when you open the windows on each side of the home. This is a must see, call The Barlows at 805-987-5755 today for an appointment to see this wonderful home!